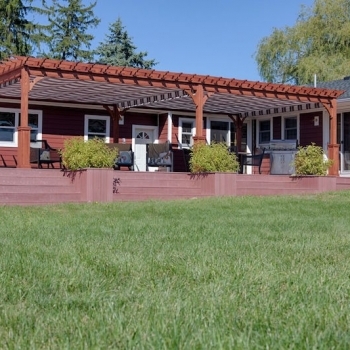 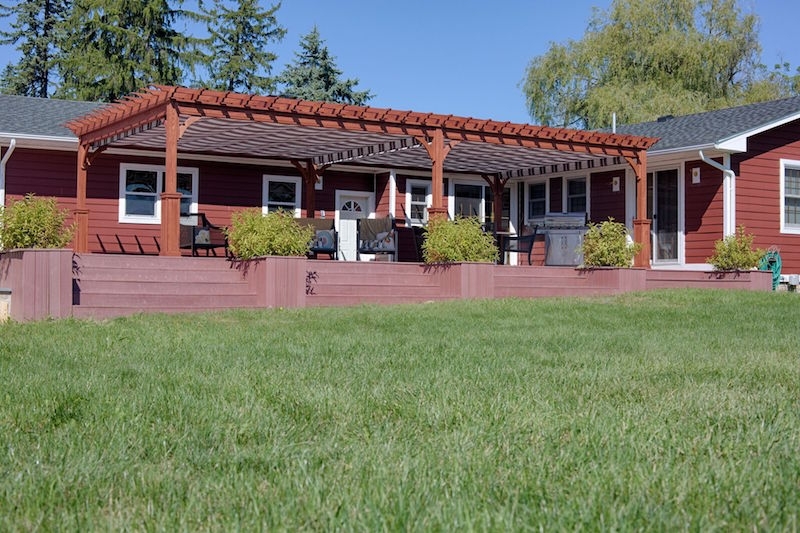 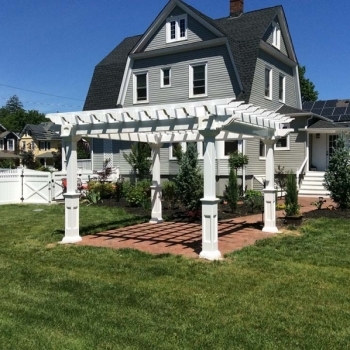 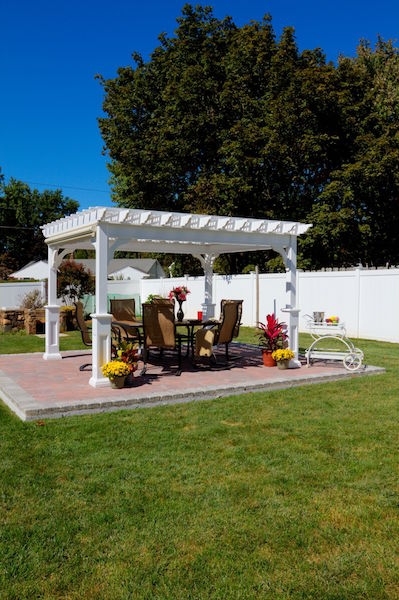 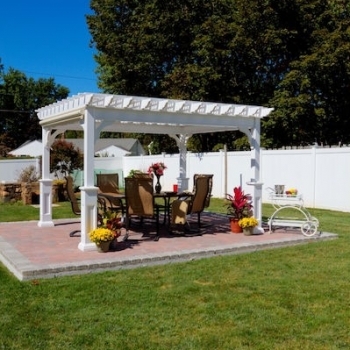 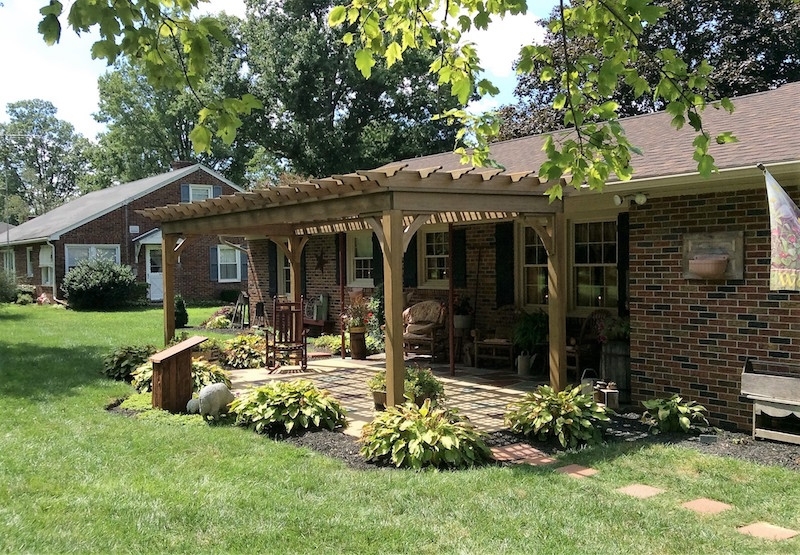 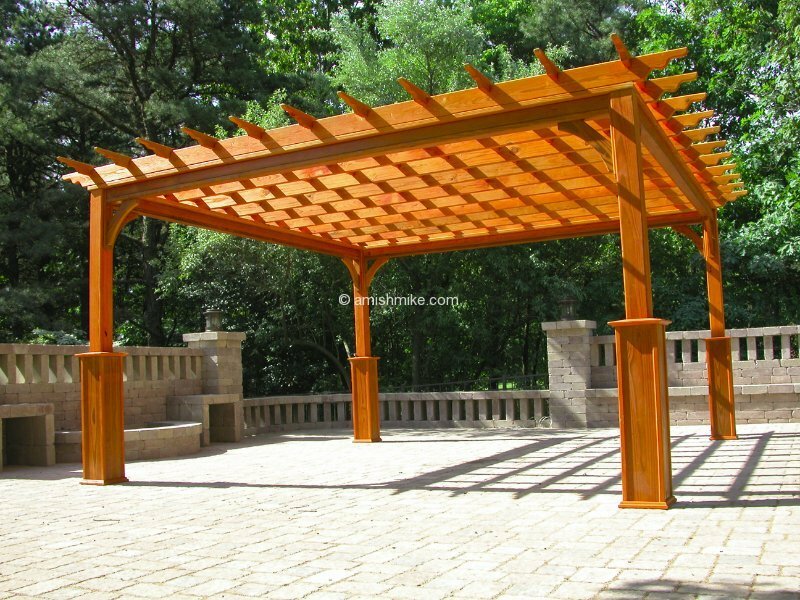 The standard features of the traditional wood pergola are a solid 5 x 5 laminated posts with decorative posts skirts, solid 2 x 6 joists spans shorter side and 2 x 4 runners pan longer side, both with scalloped ends and notched intersections to resist warping. 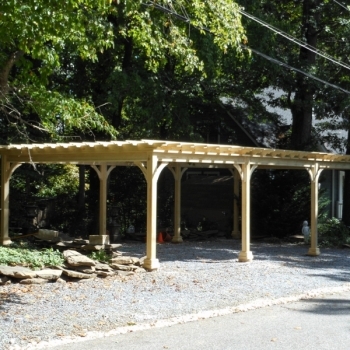 Heavy duty double 2 x 6 header with braces for rigidity, anchor brackets for concrete pad, patio or decks. 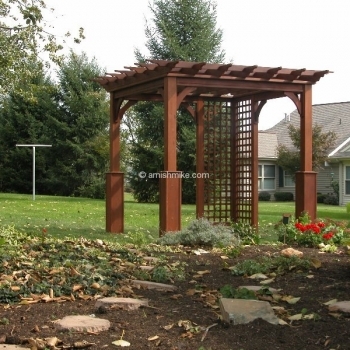 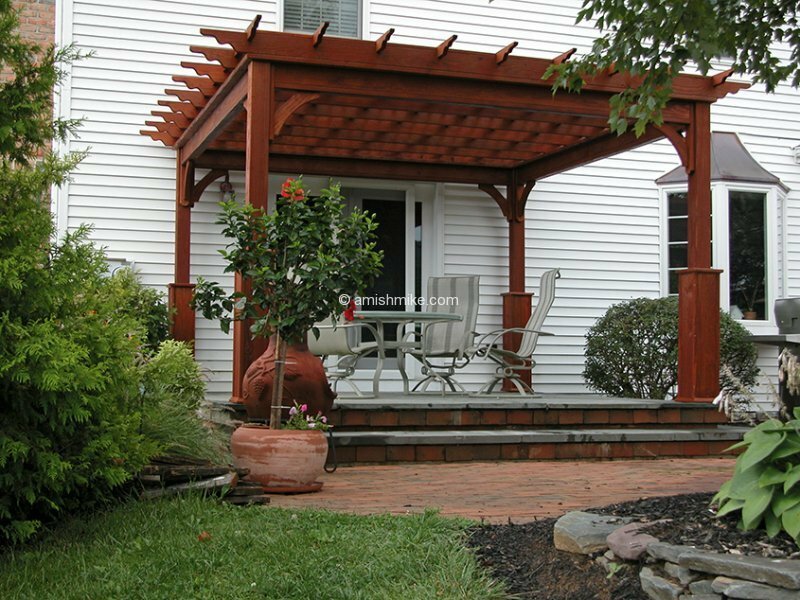 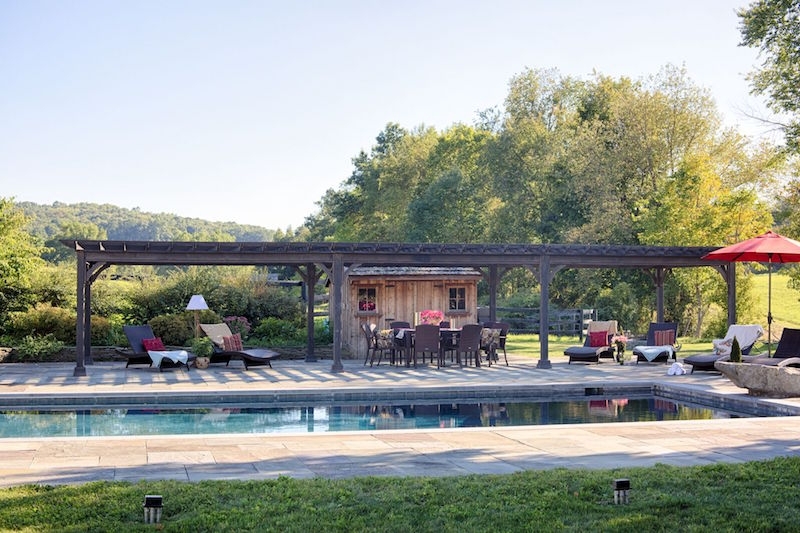 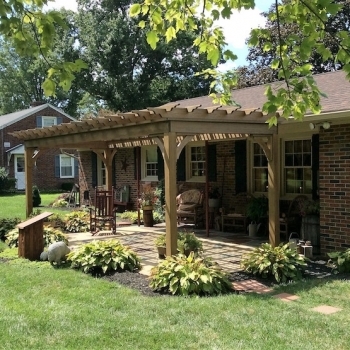 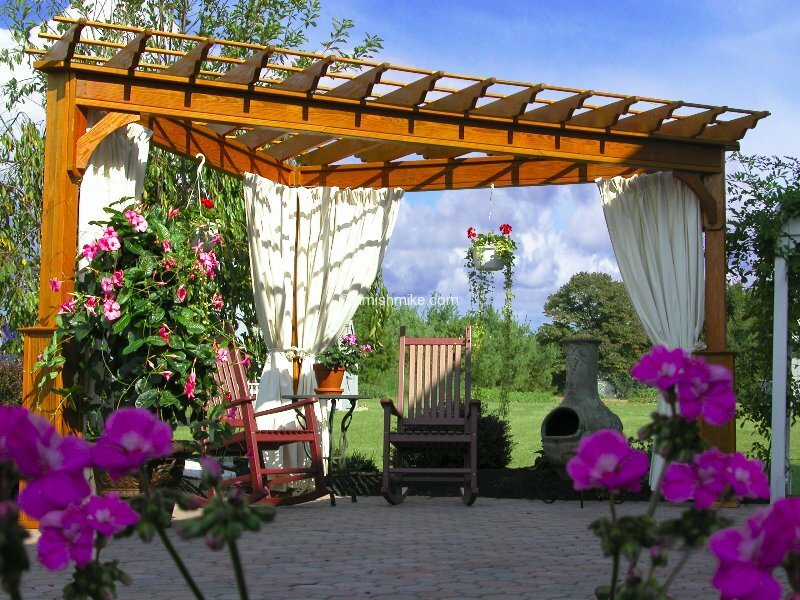 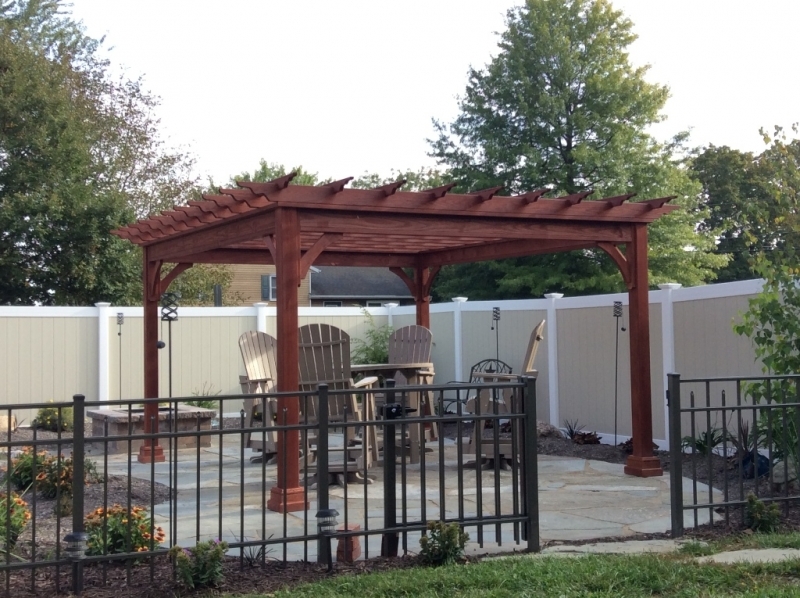 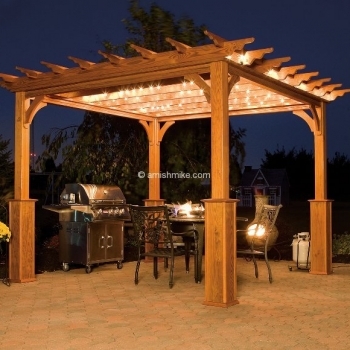 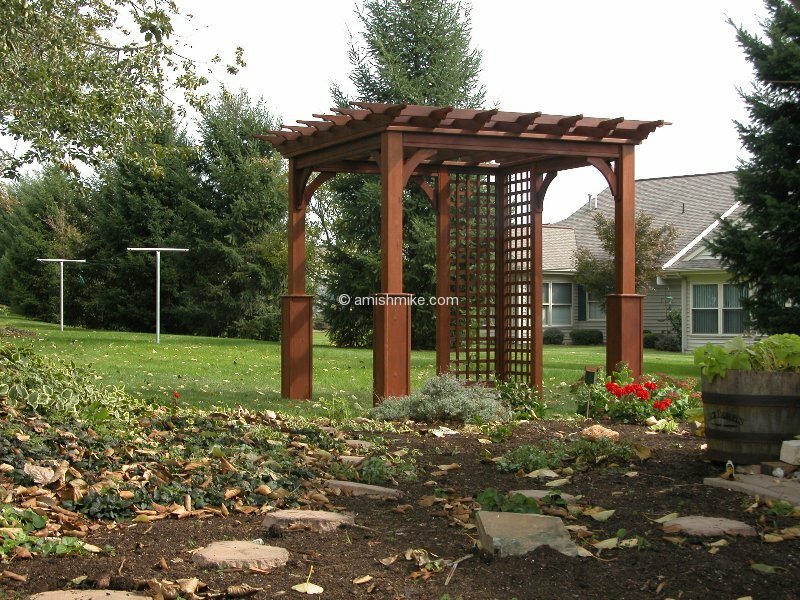 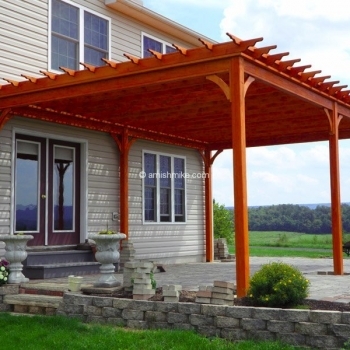 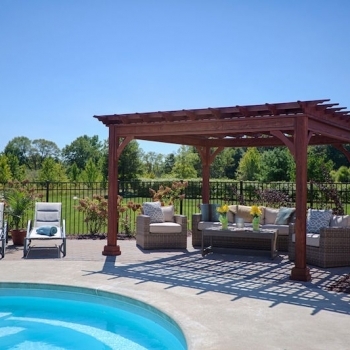 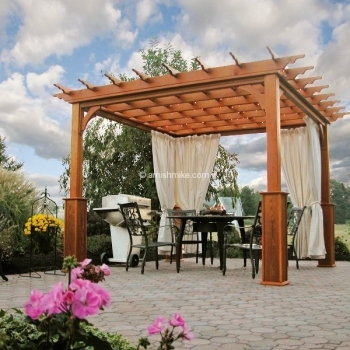 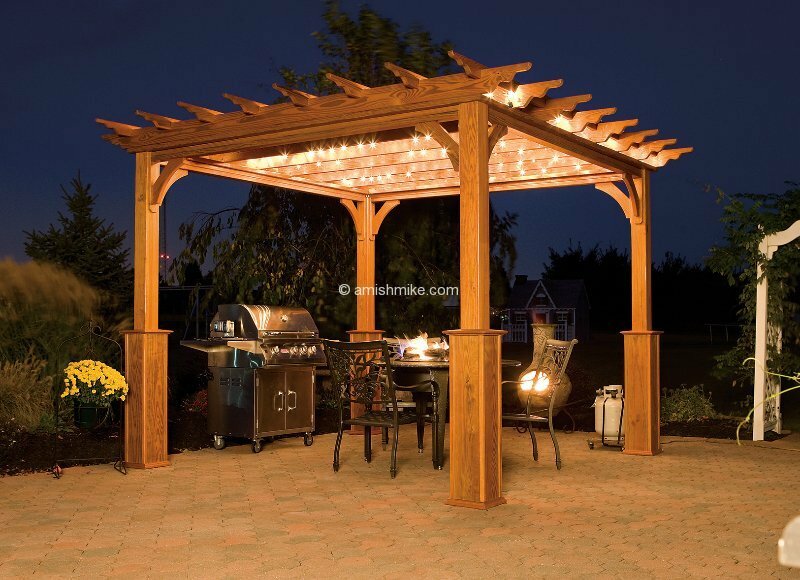 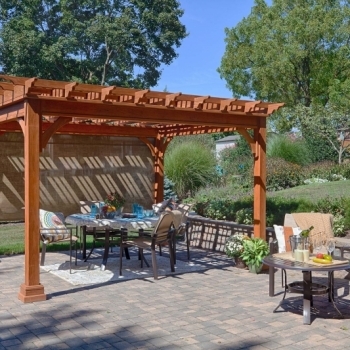 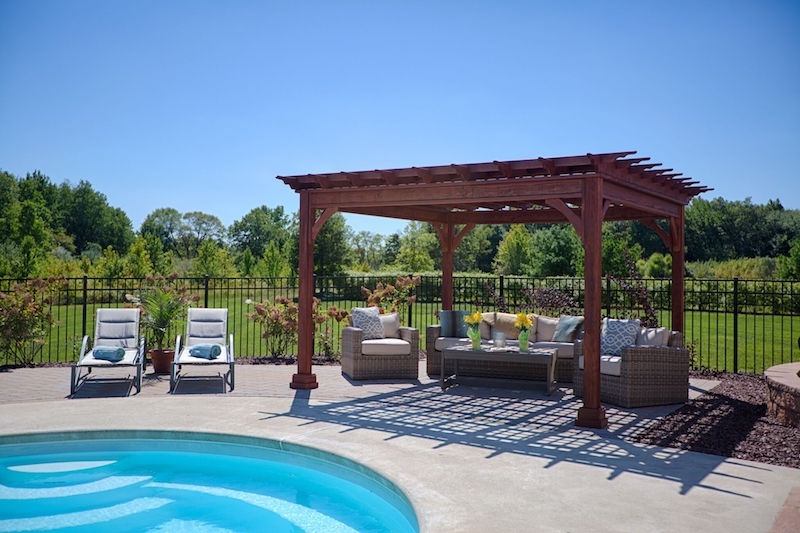 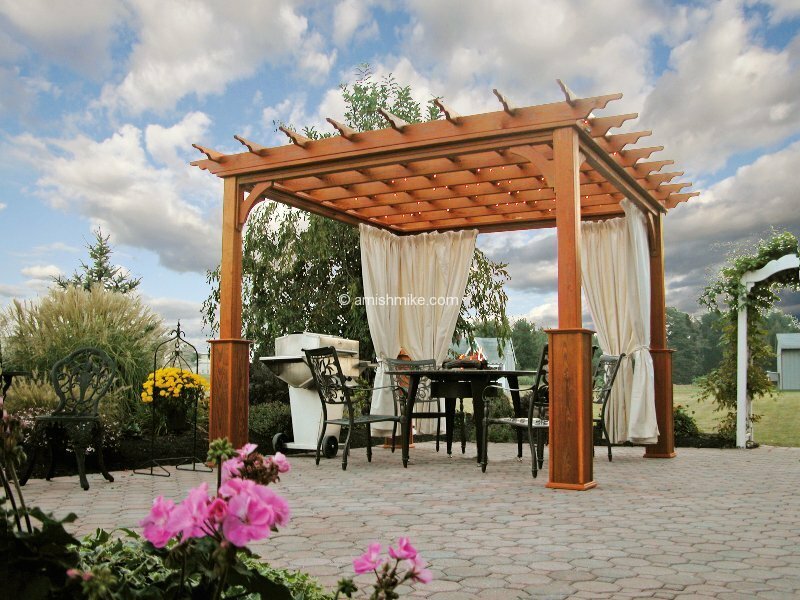 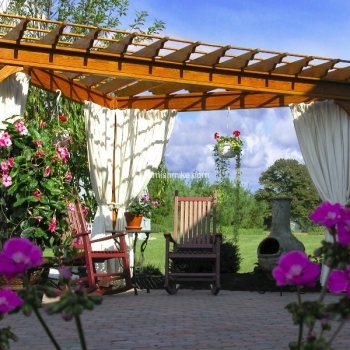 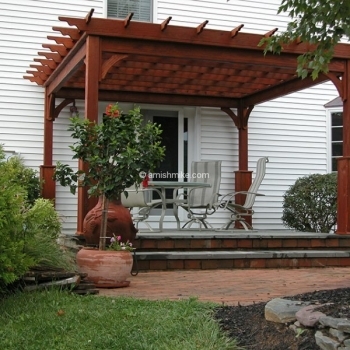 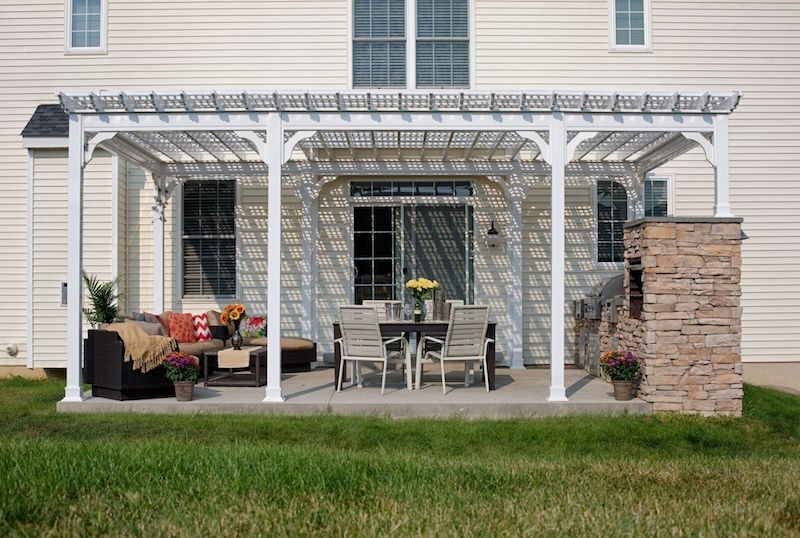 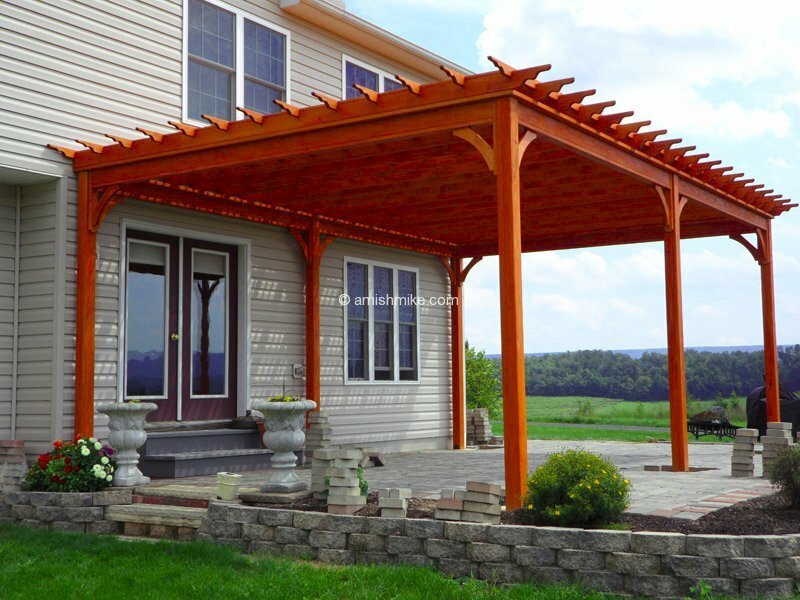 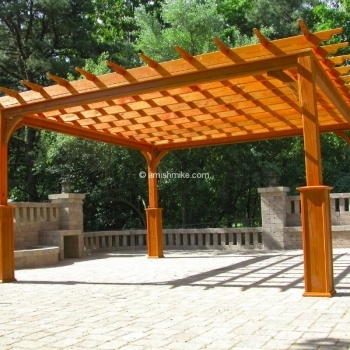 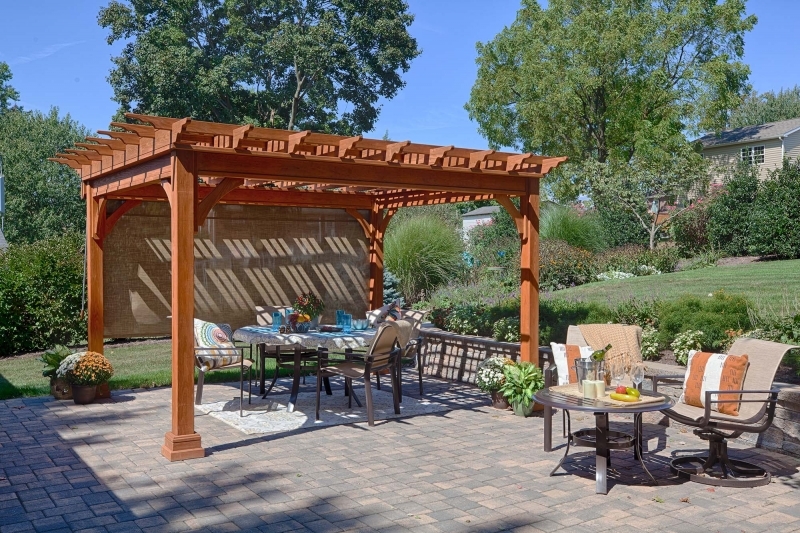 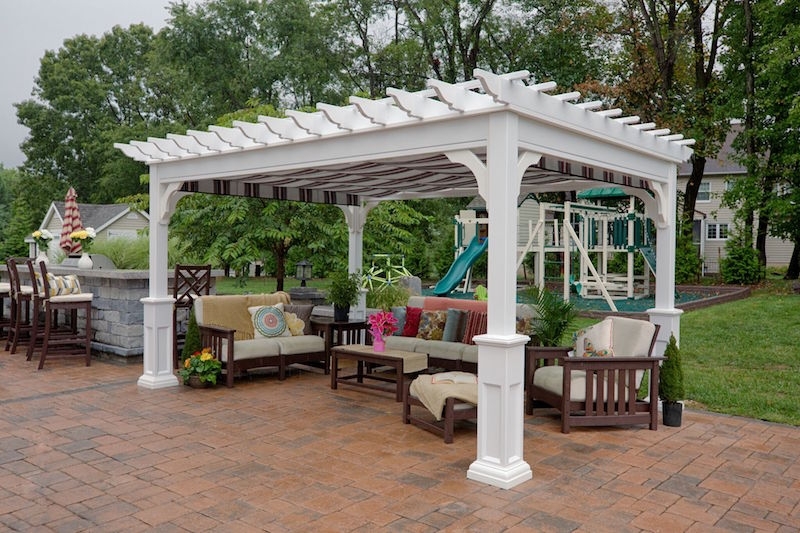 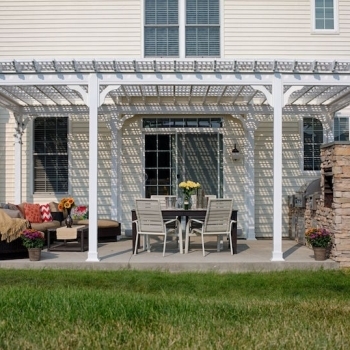 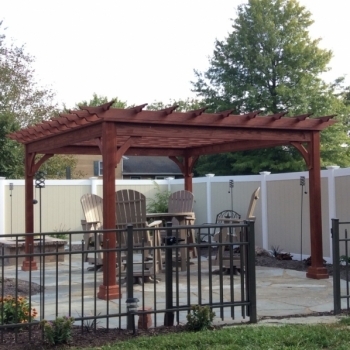 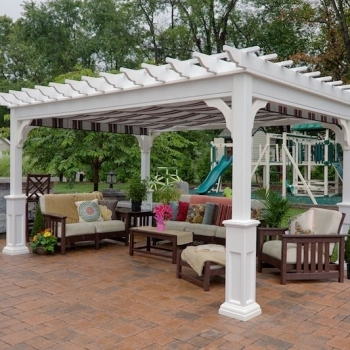 The wood pergola is available in kit form and cedar, canyon brown, cinder and mahogany finishes. 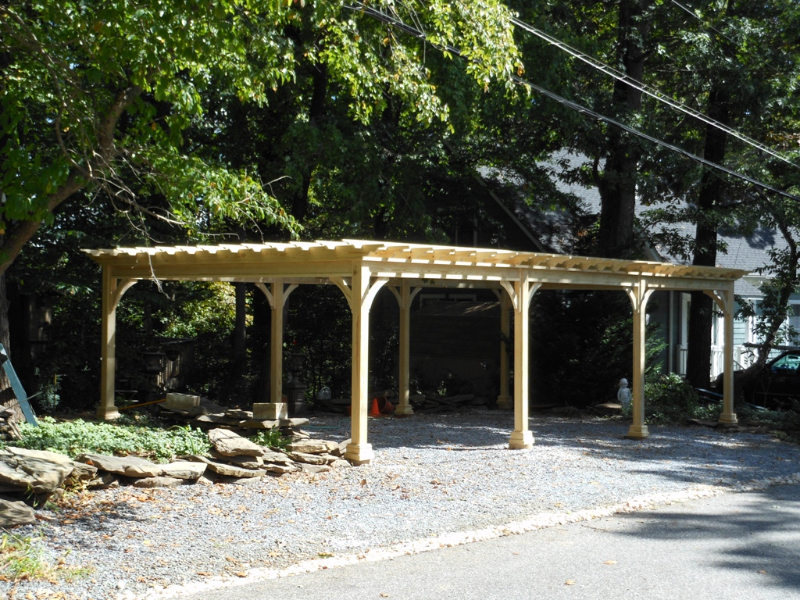 Many other options available including shade system, superior posts and more. 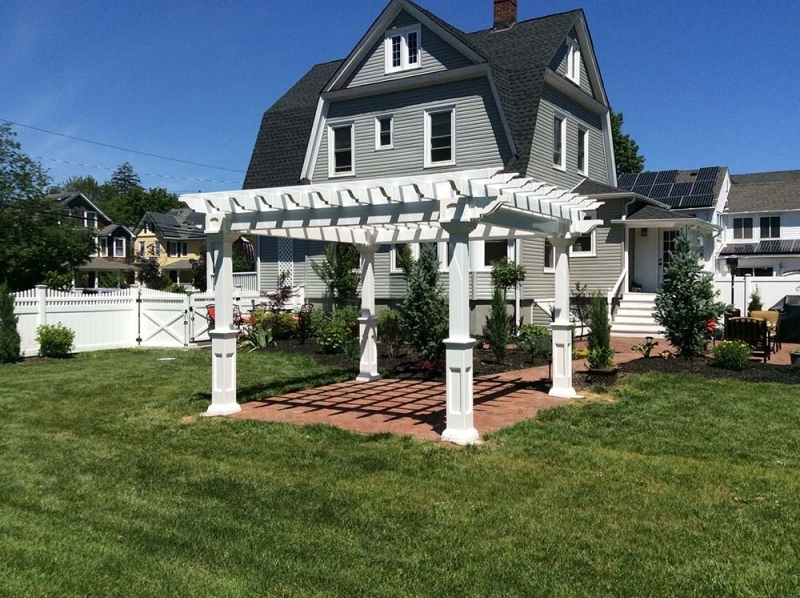 We have many other options available please contact us for details.